Most people know about USCA and the Summit, but NMAC is so much more than our conferences. I’m here to discuss our HIV50+ Strong & Healthy Program. This program works to end isolation by building communities of leaders over the age of 50 who are living with HIV. As a long term survivor myself, I am acutely aware of the unique health challenges our community faces. Long term survivors are more likely to cope with post-traumatic stress disorder (PTSD), increased feelings of isolation, depression, and even higher sentiments of suicide ideation. 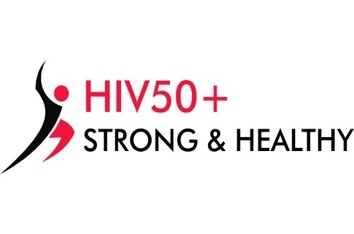 Through our HIV50+ Strong & Healthy Program, NMAC hopes to inspire and empower these community leaders in taking steps to heal themselves and their communities because we believe that when WE heal our communities WE heal ourselves. Thank you, Gilead, for supporting this important work. 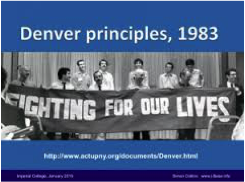 The Denver Principles were the foundation for the self-empowerment and self-determination for PWA (people with AIDS). In 1983, when the principles were written, HIV was a death sentence that was too often used as an excuse to deny housing, healthcare, even funeral services. It took great courage to stand-up and speak-out and many of the gains we have made in the epidemic are due in large part to these community leaders. NMAC is committed to reengaging long term survivors using the Denver Principles of self-empowerment as our guiding light. We believe that PWAs can heal each other and build up the next generation of PLWH leaders. Our program will build a cohort of leaders over the age of 50 who are living with HIV with the goal of bringing them to the 2017 USCA to honor their survival, talk about their losses, and (most importantly) to build their community. 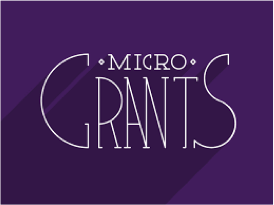 This year, NMAC is offering micro-grants to support these activists to develop limited programs to engage their peers: people over 50 living with HIV. We are not creating an elaborate initiative, just something to start dialogue that will inspire these leaders to get back in the game of changing the world. The deadline to apply is June 2nd. I hope you will join us. Fighting the epidemic in the early days was unexplainable. But with all the grief, loss, and pain, there was also a family that came together that changed the world. Treatment has altered the course of the epidemic but some of the early leaders have been pushed aside as distant memories. After spending all that time fighting an epidemic, many of us never really dealt with the deaths and guilt from surviving and so many of us are still struggling to cope with the trauma of those early days. This is a unique moment in our movement’s history. We really can create pathways to ending the epidemic; however, we need all people living with HIV, particularly those who were there from the beginning, to step up and rejoin the movement. Depression and isolation must not become their sole narrative and we cannot lose their leadership to the annals of history. Our next class of 50 leaders starts at USCA. You must apply by June 2nd to be considered.